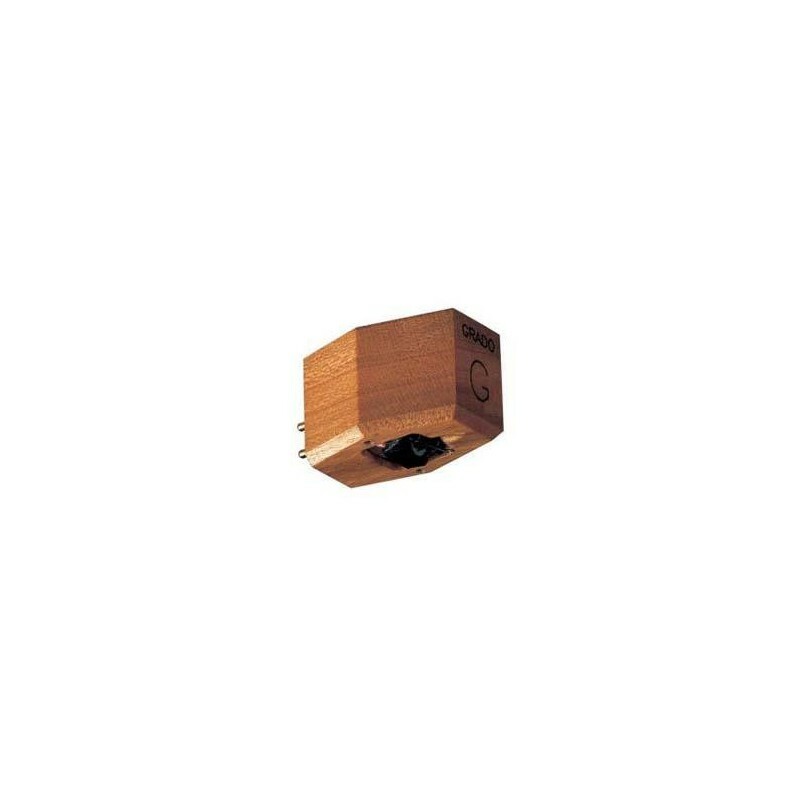 MM cartridge with True ellipsoid stylus. 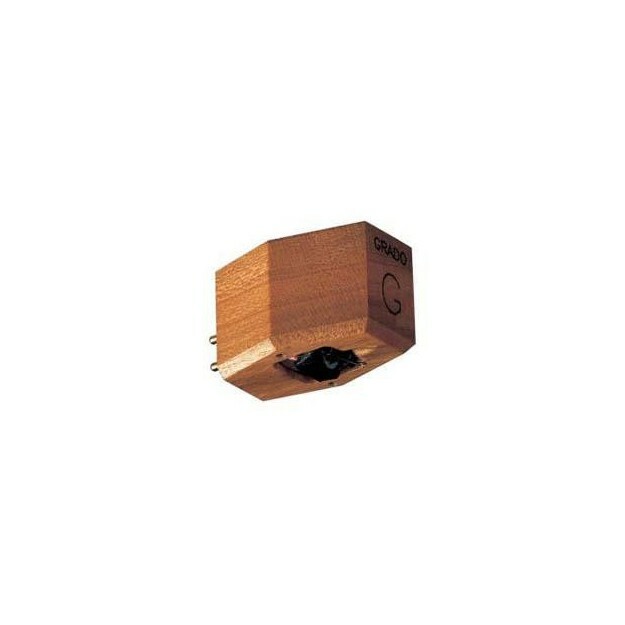 Grado THE Reference-1 is not really a moving coil cartridge and not really a moving magnet cartridge! It uses the manufacturer's signature operating principle: Moving Iron. It uses a five piece OTL cantilever technology. In this case, it is a modified and lighter (- 5%) variant of the Sonata or Platinium models. 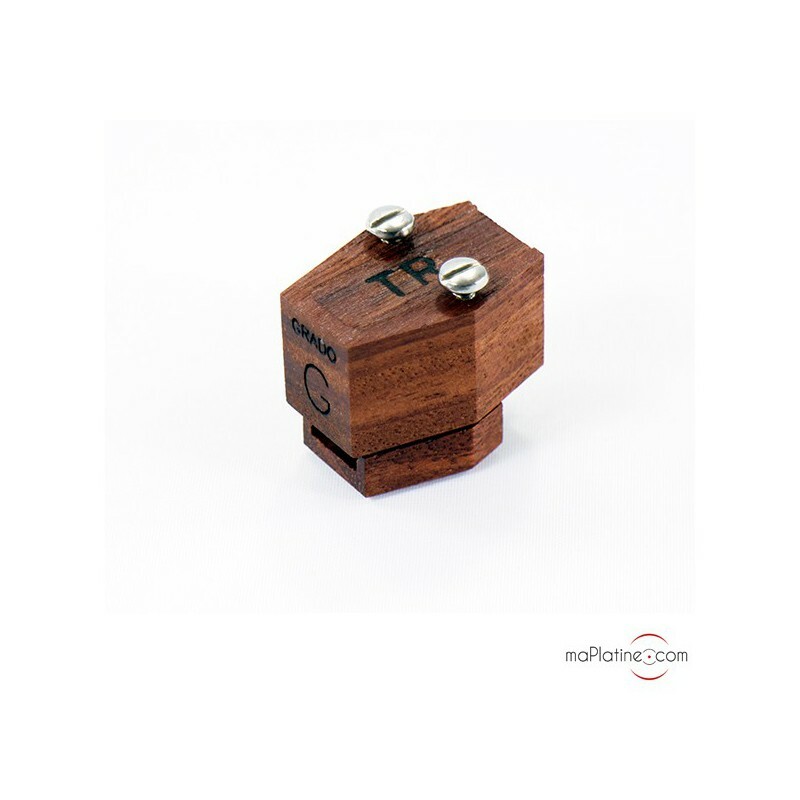 The cartridge - especially the coil and stylus/cantilever assembly - have had a facelift and are now 17% lighter. 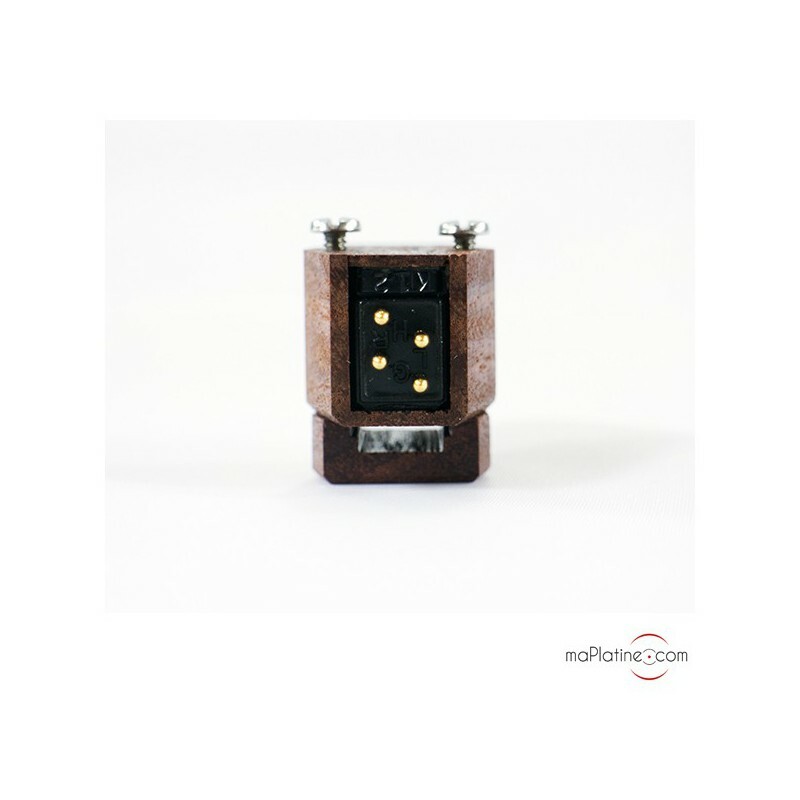 UHPLC (Ultra High Purity Long Crystal) conductors are used for the internal cables. 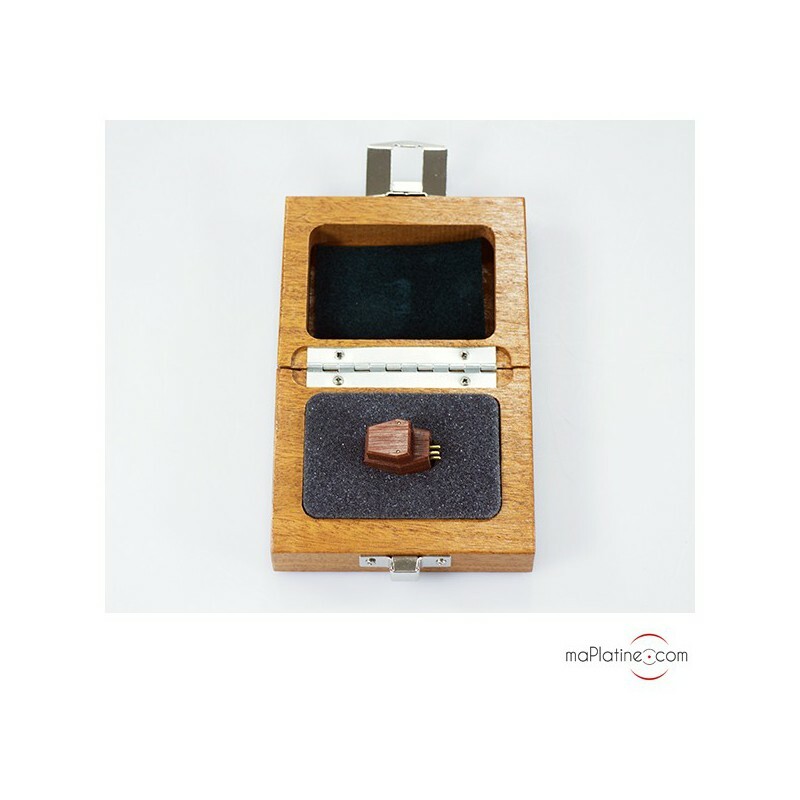 The box is hand built in Jarrah wood. 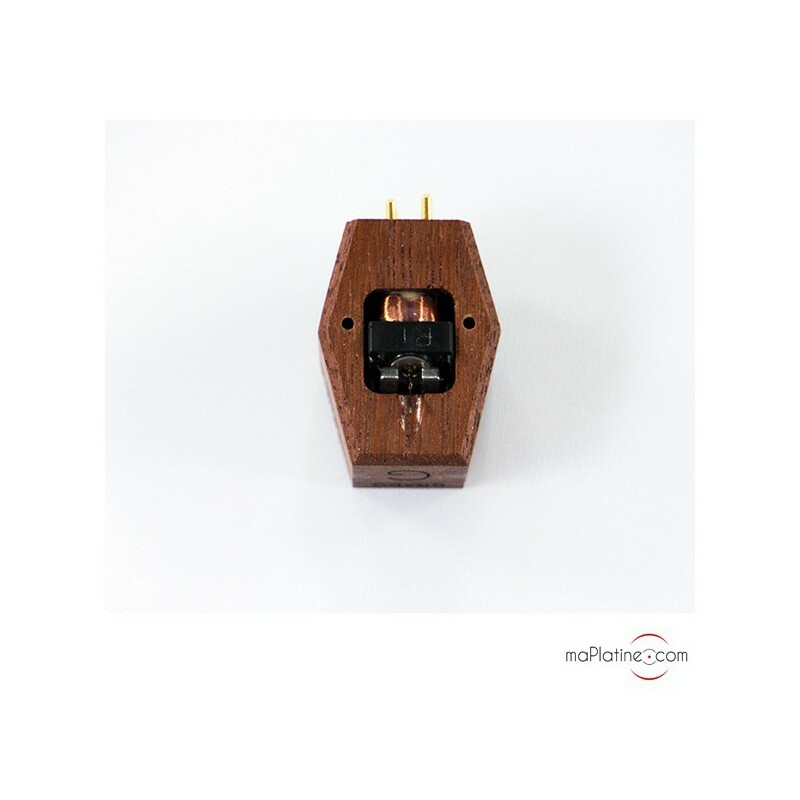 This hard and light wood stems from a tree native to Australia and gives the cartridge good sound neutrality. The stylus inherits of a very complex profile, the True Ellipsoid. The shape and polishing are very similar to the original 'chisel' profile used for recording. The contact surface approaches perfection, increasing tracking and minimising groove wall wear. As typically with Grado, this model is mounted onto a brass cantilever. 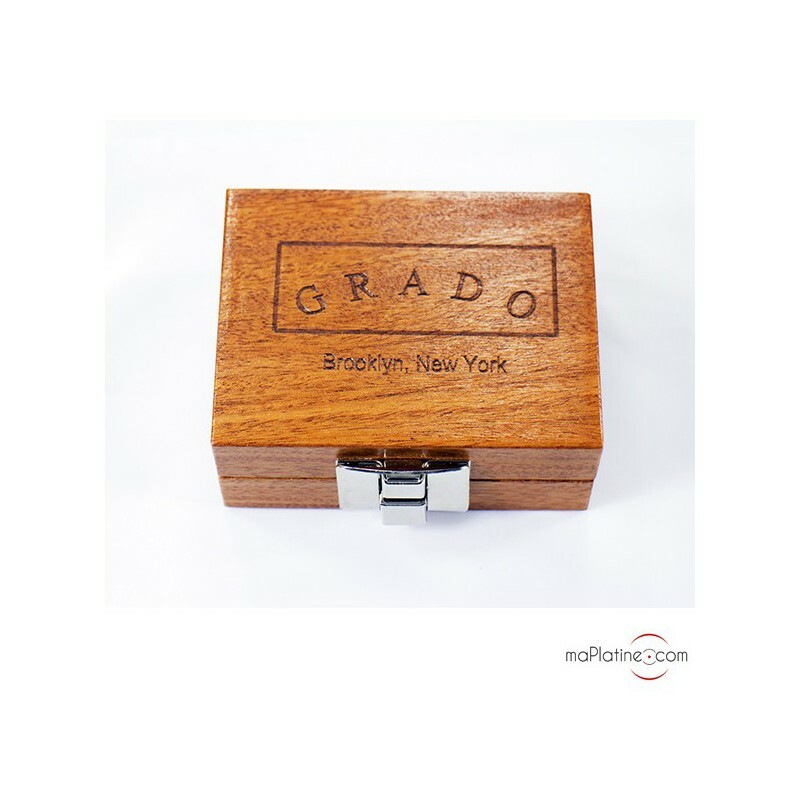 Like all Grado products, it is assembled and tested in the company's historic workshop in Brooklyn, USA.